When your principle means of transportation is put in jeopardy, you want your vehicle fixed correctly and fixed quickly. We understand how difficult it can be to have no ride to work or leisure activities, and how embarrassing it is to drive around with visible damage to your automobile. Best in Show Collision Repair will provide you with the utmost care and have you back on the road in no time at all. Paint Repair: Our state-of-the-art paint facility can match any paint color to repair scrapes, stone chips, dings, dents, and damage. Whether you need to correct a small imperfection, an entire panel, or multiple areas, we provide you with a quality repair in our clean, organized facility. Auto Body Repair: Whether you’ve had a fender bender or minor accident, we use original manufacturer parts and products, certified technicians, and high-tech full frame repair equipment to provide you with a quality repair that lasts. Glass Repair: Need a new windshield? No problem! Have a bit of hail damage? We can fix that too! Our glass repair specialists seal nicks, chips and cracks before they worsen and restore the structural integrity of your window. We offer full replacements when necessary or preferred. 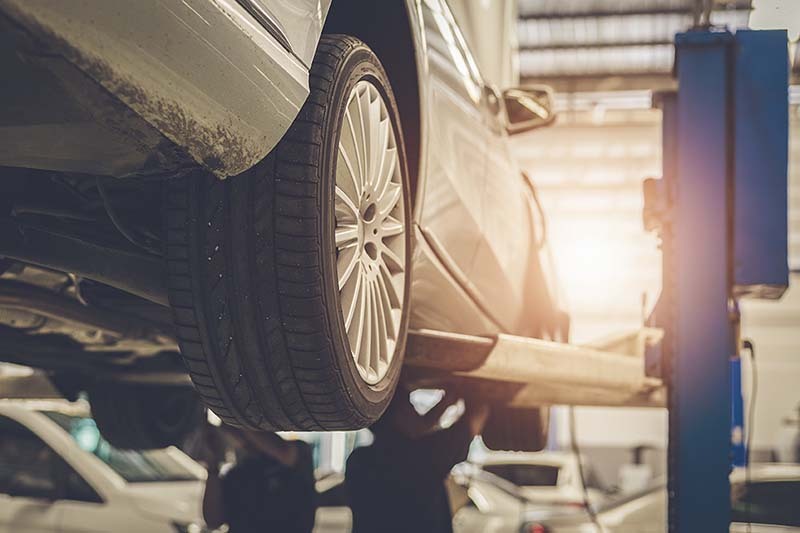 Wheel Repair: When a brand new set of tires is not an option, we offer wheel refinishing and wheel replacement services to heal varying levels of damage in a safe manner. Detail Work: Professional detailing is the service of rejuvenating the painted and upholstered surfaces of your car to restore them to their original cosmetic beauty.